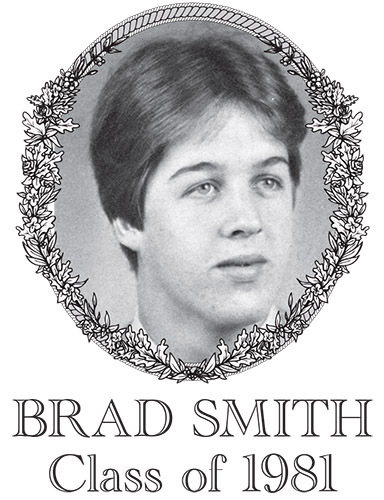 Brad Smith, Class of 1981, was a 1,000 point scorer for the Bartlett Basketball program. Brad came to Bartlett for his sophomore year, transferring from conference rival Tantasqua Regional High School. During his initial season at Bartlett, Brad's focus was to work hard on defense while working to a establish a role as a member of his new team. Over the next three years, Brad would emerge as one of the best guards in Bartlett history. Entering his junior year, Hall of Fame Coach Bob Paranto referred to Brad and teammate Greg Fiddes as "the best backcourt in Central Mass." Brad scored 34 points in a game against Auburn, establishing himself as a scoring threat for the Indians. Brad was selected a Border Conference All-Star and a Telegram & Gazette Honor Team member for his junior season. During his senior year, Brad was a team Captain and continued to excel as a prolific scorer, averaging 26 points per game. Coach Paranto stated Brad was excellent under pressure. Brad joined the elite 1,000 point scorer club during a 29 point performance against Southbridge. Brad scored a season high 45 points against Groton-Dunstable. For his efforts, Brad was selected as the team MVP, a Border Conference All-Star, and a Telegram & Gazette Super Team member. Brad was also selected to participate in the prestigious statewide Best of 48 All-Star Game. During his three years, Brad was a member of three Clark Tournament champion teams, a two-time district champion, and a state champion as a member of the Hall of Fame 1978-79 Basketball team. Brad ended his career with 1,294 career points, at the time, the most in school history. After high school, Brad attended Eastern Connecticut State University. Brad currently resides in New Mexico working on a ranch. He previously worked for many years as a plumber.